I read this article and found it very interesting, thought it might be something for you. The article is called 70% Of India’s Farm Families Spend More Than They Earn–Debt Main Cause of Suicides and is located at https://archive.indiaspend.com/cover-story/70-of-indias-farm-families-spend-more-than-they-earn-debt-main-cause-of-suicides-26738. 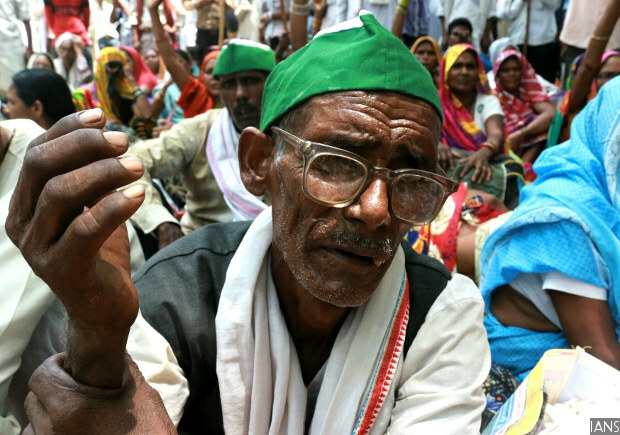 Farmers stage a demonstration in New Delhi in June 2017. Apart from meagre farm income, rising healthcare costs increase farmer debt–now the primary reason in more than 50% farmer suicides in India. Nearly 70% of India’s 90 million agricultural households spend more than they earn on average each month, pushing them towards debt, which is now the primary reason in more than half of all suicides by farmers nationwide, according to an IndiaSpend analysis of various government data. The failing economics of such farms–agricultural households in the south are most indebted–are exacerbated by additional loans that families take to meet health issues, leaving them with diminished ability to invest in farming. Outstanding loans for health reasons doubled over a decade to 2012, and loans for farm business fell by about half over the same period. These data help understand the nature of India’s farm crisis in the light of the recent spate of farmer protests across states to demand loan waivers and better prices for their crops. These 62.6 million households spending more than they earn had land holdings of one hectare or less, according to the 2013 situation assessment survey of farm households by the National Sample Survey Office (NSSO), the latest available data. In contrast, 0.35 million (0.39%) households owning more than 10 hectares of land had an average monthly income of Rs 41,338 and consumption expenditure of Rs 14,447, thereby maintaining a monthly surplus of Rs 26,941. Nearly 85% of all operational farm holdings in the country are smaller than two hectares in size, NSSO data show. No more than a third of Indian small and marginal farmers have access to institutional credit, as IndiaSpend reported on June 8, 2017, which suggests that loan waivers may not help them. Andhra Pradesh has the highest share of indebted agricultural households (93%), followed by Telangana (89%) and Tamil Nadu (82.1%). The nationwide figure is 52%. Indebtedness was listed as the primary reason for 55% of farmer suicides in 2015 and more than 300,000 Indian farmers have committed suicide since 1995, IndiaSpend reported on January 2, 2017. Apart from meagre farm income, rising healthcare costs increase farmer debt. Outstanding loans for health reasons have doubled from 3% in 2002 to 6% in 2012, according to a 2015 analysis of NSSO data by the National Bank For Agriculture and Rural Development (NABARD). Meanwhile, loans for farm business fell by half over a decade, from 58% in 2002 to 29% in 2012, as IndiaSpend reported on July 21, 2015. Nearly half (48%) of overnight trips made by millions of Indians in rural areas are for medical purposes. The corresponding figure for urban areas is 25%. More than half of India’s rural population uses private healthcare services, which are four times as costly as public healthcare, and can cost the poorest 20% of Indians more than 15 times their average monthly expenditure, as IndiaSpend reported on July 16, 2016. “In all the farm households I’ve visited, where people have killed themselves, the single largest component of family debt was health costs,” said P Sainath, Ramon Magsaysay Award winner who pioneered farmer suicide reporting in India. Recently, Uttar Pradesh and Maharashtra wrote off loans worth Rs 36,359 crore and Rs 30,000 crore, respectively. India faces a cumulative loan waiver of Rs 3.1 lakh crore ($49.1 billion), or 2.6% of the country’s gross domestic product in 2016-17, IndiaSpend reported on June 15, 2017. However, indebtedness is a symptom and not the root cause of India’s farm crisis, according to a 2007 expert group report on agricultural indebtedness. Chaired by economist R Radhakrishna, the group reported that the average farm household borrowing had not been “excessive”, and laid the blame on factors such as “stagnation in agriculture, increasing production and marketing risks, institutional vacuum and lack of alternative livelihood opportunities”. In his 2016 budget speech, Finance Minister Arun Jaitley had promised to double farmers’ income by 2022. “We are grateful to our farmers for being the backbone of the country’s food security. We need to think beyond food security and give back to our farmers a sense of income security. Government will, therefore, reorient its interventions in the farm and non-farm sectors to double the income of the farmers by 2022,” he had said. Subsequently, Union Minister for Human Resource Development Prakash Javadekar outlined a seven-point strategy to double farm income, which included measures to step up irrigation, provide better quality seeds and prevent post-harvest losses, as Mint reported on June 17, 2017. These efforts face a range of challenges, as IndiaSpend said in this March 30, 2016, story. These include: Increasing costs of farm input such as seeds, fertilisers and irrigation; irrelevance of minimum support price for government procurement; absence of marketing infrastructure such as warehouses and cold storages; and the fact that 85% of farmers do not have insurance. Clearly, India’s farm crisis calls for a multi-pronged solution that addresses each of these challenges, and loan waiver is only one part. Good article. I would like to know the situation in West Bengal. Nice report. Is it possible to know what constitutes the “other”?